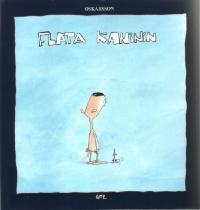 Bárður Oskarsson, Faroese children’s book author and illustrator, has just published his fourth picture book in Faroese titled “Flata kaninin” (The Flat Bunny). It will be published in Danish later this year, but I do not know the specific date. 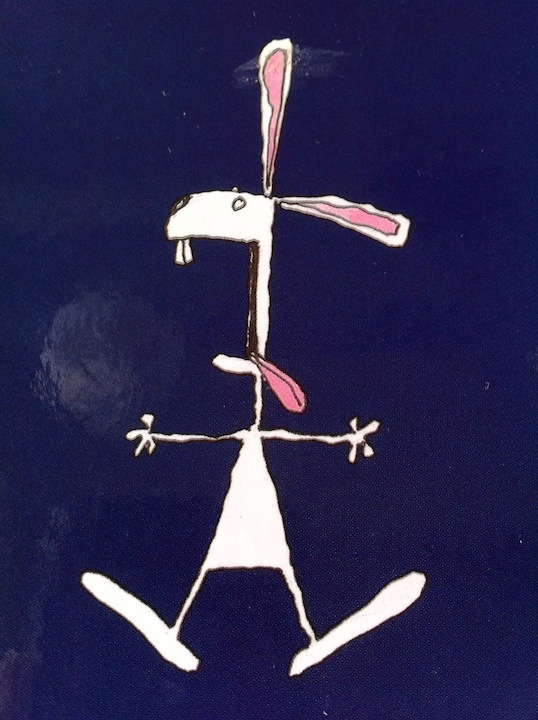 The Flat Bunny is, to put it bluntly, hilarious and does its genre honour. Oskarsson’s most famous book called “Ein hundur, ein ketta og ein mús” (A dog, a cat, and a mouse) was published in 2004 and quickly became very popular. The trio have declared a cease-fire in the beginning and as a result are driven up the wall of boredom. Tensions escalate until the dog can’t take it anymore and lets loose on the cat which sets off a spiral of mayhem. So now the question is, how do they restore the peace? It was awarded the West Nordic Children’s Literature Prize and a White Raven Special Mention in 2006 and is translated into Danish, Icelandic and French. It has been a part of Internationale Jugendbibliothek München’s travelling exhibition, Guten Tag, lieber Feind!, showcasing picture books that promote peace and tolerance. 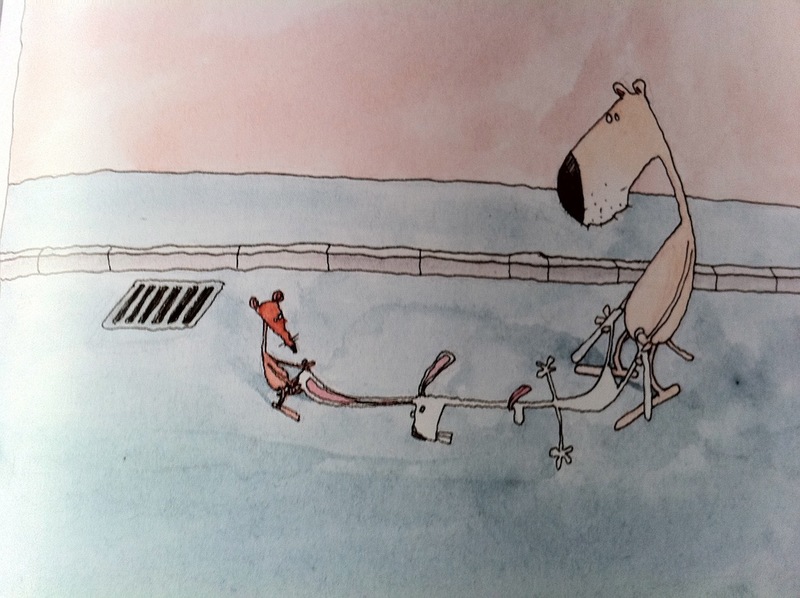 Furthermore, because of Iceland’s position as honorary guest at Frankfurter Buchmesse in October 2011, they have offered the Faroe Islands part of their space and Oskarsson’s picture book will be one of the Faroese contributions. So the deliberations continue, until the dog comes up with the perfect plan and the dog and rat scrape the bunny off the road. It is a story of how you apply creativity to, and make the best out of an apparently unlucky situation, and doing so with great empathy and style. The ending is anything but predictable and puts a twist on the story leaving further contemplation up to the reader. The interplay between text and pictures in this book – implementing subtle minimalist technique in both – is beautiful and I seriously haven’t been able to stop laughing every time I open the book. I know the target group is children, but I would not hesitate to recommend it to adults as well – you are never to old to laugh and contemplate life from a different perspective. There is innocence and playfulness abound and I think it would be really interesting to see how children react to/read the story. 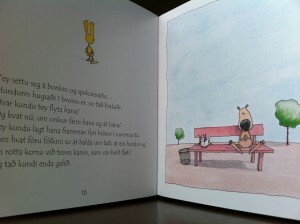 If you know Faroese or Danish, you can read more about Oskarsson and his books here and here. Oskarsson’s Faroese publishing house, BFL, also has a catalogue in English with a selection of their published material, including the books of Bárður Oskarsson – you can find it here.